When it comes to cocktails, margaritas, bloody mary's, most anything with bourbon, and gin + tonic's top the list. 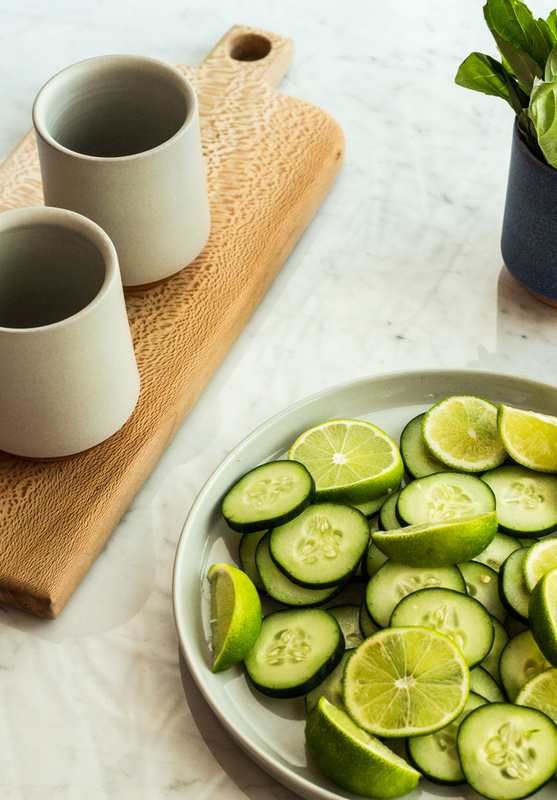 And as summer is officially here, with my girls last day of school yesterday, margaritas and gin + tonics are on constant rotation throughout these hot months. While we enjoy both drinks traditionally, it's also fun to use what we have growing in the garden to liven up our basic (but delicious) cocktails of choice. 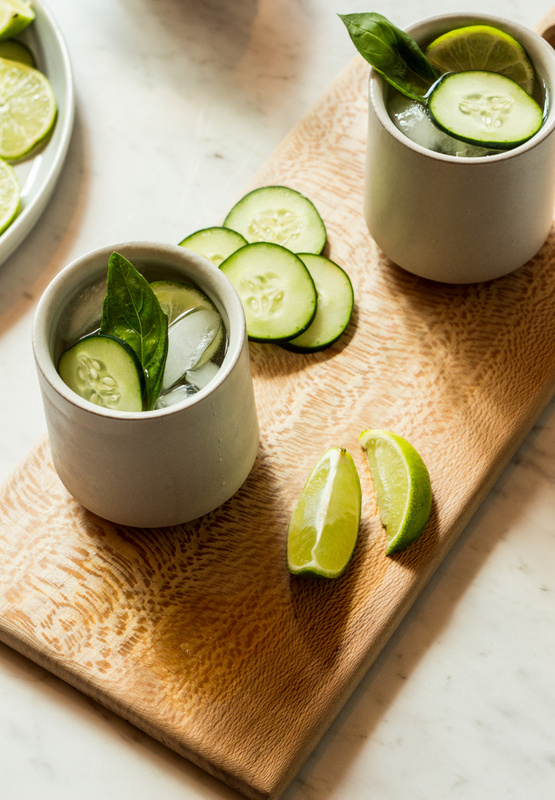 Right now we are sipping on gin and tonics that are infused with basil, cucumber and lots of lime. And really, we are drinking this all day long, with water clearly. Other favorite variations include adding roasted strawberries and basil, pineapple with jalapeno syrup, and to really change things up, tarragon with grapefruit! My point is, traditional cocktails are good, but it's summer time, so let's have a little fun and try something new. In a cocktail glass, gently muddle the lime wedge and basil. 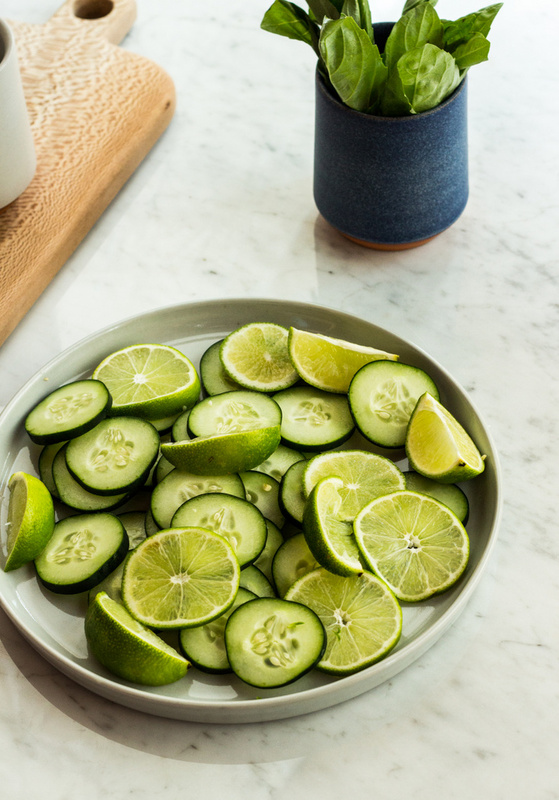 Add cucumber and gin, and give it a swirl. Top with ice and add tonic water. Optional, serve with additional lime wedge and basil leave. cheers!